Good evening all, J. Wellington Rommefeller here. This week, I elected to delve into the latest installation of the F.E.A.R. franchise, the peculiarly named F.3.A.R. I must say, I’ll never understand why everything from movies to books to video games feel the need to be clever about the placement of their iteration number in their titles. Can you name a title since Se7en that partook in this trend and was worth the money you paid to engage in it? Perhaps this game will be different, or at least I’d hoped. I’ve heard good things about the first game from a number of my compatriots, but has time taken a nasty toll on the survival horror FPS series? Let’s find out. First of all, I must clarify that I have not played the first two games in this series—I’m not much of a survival horror enthusiast and was attempting to learn alchemy at the time. As it turns out, alchemy is a dead science; a fact I wish someone would have told me three months and over $5000 ago. But I digress; F.E.A.R. was simply one of the series I let slip through the cracks. I was wary of beginning a series with the third game, but reasoned that a good game series would forgive me my ignorance and help me along with short explanations of the previous entries. This assumption would prove to be the single worst assumption ever made by man. The following summary represents what I was able to gather about the story of the previous two games. A chap named “Point Man” was on a team called F.E.A.R. in the first game. He was a prototype psychic soldier whose mind powers endowed him with super human reflexes. In the second game, you learn of his twin brother Fettel, who is somehow a better psychic than Point Man. The two scrap a bit and Point Man ends up shooting his brother in the head and getting captured by soldiers of some sort. Oh and there’s a disturbing little girl named Alma who was apparently their mother even though she looks no older than five. Beyond these main points, I was able to deduce little else from F.3.A.R alone. The third game opens with Fettel explaining that though he’s quite dead, his psychic link to Point Man was never broken. I assume he’s a ghost or specter of some sort, since he possesses people and cannot be seen by anyone but his twin. The story follows the two as they trace their way back to the headquarters of Armatech, the company responsible for their psychic powers. Along the way, Fettel helps his brother/murderer attempt to reunite with their mother and does his best dissuade Point Man from rescuing a mysterious person he seems to care about. Does this sound like the disjointed ramblings of a 12-year-old’s fanfiction? Yes it does. And do get accustomed to it, the entire game is this way—establishing ideas and rules for the universe before promptly breaking them, giving no transitions between scenes and introducing terribly written characters who cannot progress the plot without narration. Between each level, a short three line sentence is presented as an explanation as to why Point Man never starts off where the last level finished. It feels almost as if the person writing this game elected to write the beginning and ending and a few scenes in between, but had no cohesive narrative for how to connect them. In the last minutes, the developers pressed the writer for some way to make the scene transitions make sense and he drunkenly scrawled lines on a cocktail napkin. Instead of using the lines as a starting point, the developers simply superimposed said lines over a black and white still photo and called it a day. I played the game in its entirety and I still cannot fully explain to you what happened. Enough about the story, what about the gameplay? As far as first person shooter games go, you can certainly get your fix in more polished games like Call of Duty or Battlefield. And on the front of survival horror, I think Resident Evil: Code Veronica was more terrifying and that came out years ago for the Dreamcast. F.3.A.R. 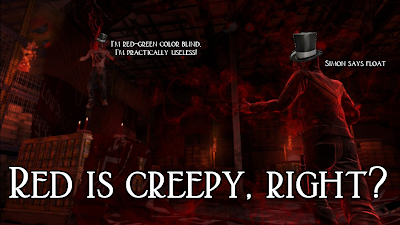 is an amalgamation of an average FPS and an average survival horror forming a game that redefines mediocre. In fact, the only interesting part of the gameplay is that Fettel can possess soldiers, but even this power is questionable and unfulfilling. If I sneak up and possess a soldier, how is it that his comrades know he’s been possessed and immediately begin shooting at me? Perhaps I possess only those who would be shot by their friends regardless. Fettel’s interesting ability, however, is only a means of segueing into the average FPS experience, which slightly cheapens it. The gameplay is not bad, per say, but it certainly isn’t good either. The one area in which F.3.A.R. excels is the creation of an unsettling scene. Indeed I did just claim that a 10+ year old game had more horror appeal, but in my opinion a game’s “scariness” hinges upon the buildup. In Resident Evil, for example, the music changes in a seemingly inconspicuous room and you immediately start walking slower, weapon drawn, and ready for something to happen. In F.3.A.R., on the other hand, you walk from one creepy room to the next and occasionally the camera will quickly shift to an unsettling, monster-filled environment before snapping back to reality; it’s as if no real tone for the game exists. I feel as if I’m presented with the climax before any buildup in each room, making me react in the same way as viewing a painting—“Oh, that’s nice.” That’s not to say that each room is ruined by a lack of tension, but F.3.A.R could have done itself far more justice. 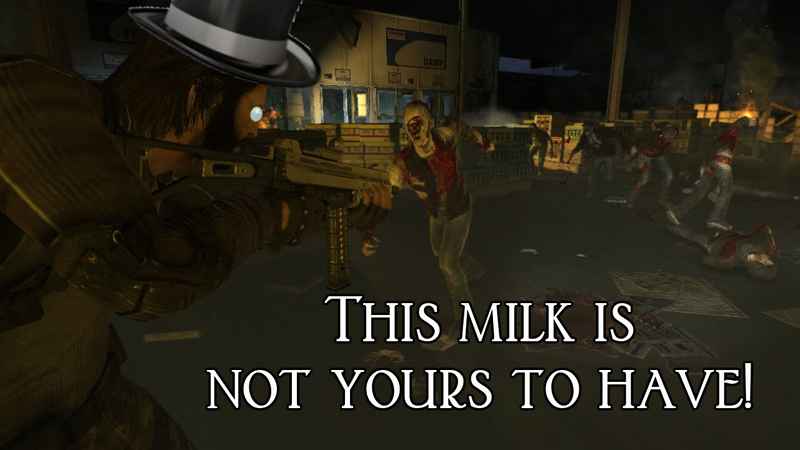 If you’re interested in an FPS or a survival horror game, you are far better off choosing something other than F.3.A.R. The inconsistent story, mediocre gameplay, and subpar horror make this a game that will likely only interest people who have played the first two and wish to complete the series. 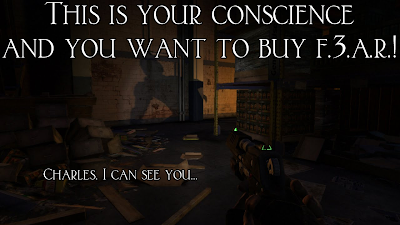 To those people, I wish you luck and advise you to rent, as this will not necessarily be a game you are proud to own. You read that right, just five months after its release, the Nintendo 3DS is getting a massive price slash. Nintendo announced that the system which used to cost $250 will only cost $170 starting August 11th. This is the biggest price drop in the shortest amount of time that I can remember. 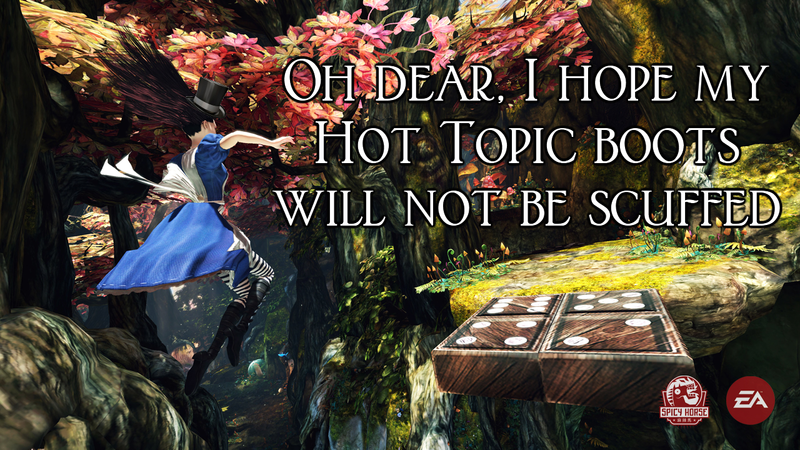 This move is, of course, a response to the terrible 3DS sales. Nintendo reported that they've only sold 710,000 units in the past three months worldwide. That may sound like alot, but when you realize that the original DS family sold almost double that in the same timeframe, you begin to realize why the alarm bells are going off at Nintendo HQ. Nintendo also announced ten NES games and ten Game Boy Advance titles coming to the eShop. Not terrible titles either, games like Super Mario Bros. to Legend of Zelda and Metroid Fusion to Mario Kart: Super Circuit. There's a catch, however. All of these games are free to anyone who has bought or will buy the 3DS before the price drop. For the gamers who choose to wait until the price is lower, the NES titles will be available at a later date for purchase, but Nintendo says they have no plans for the GBA games to come to the general public. So what does all of this mean for gamers? Nintendo is terrified that their new handheld will be a flop and are trying to fix the problem by throwing money at it. That's not a bad thing for the community at all, as we will be getting a less expensive console and are promised good titles in the future. But will all of this be enough to combat Sony and the brewing storm of Vita? I thought this battle was going to be interesting, as the Vita was priced exactly the same as the 3DS, but now it's going to be absolutely engrossing. So far, the public has voted with their dollars to say they do not want a $250 DS, but will they vote for a $250 PSP? Get your popcorn and Excel spreadsheets ready, because this holiday season is going to be a slugfest for prime pocket real estate. I said I'd be back with video, and J. Wellington Rommefeller is a man of his word! I have so many, in fact, that if I put all of them on the main site page, the load time would harken back to the days of dial up. Here are three of my favorites, but the videos for most to the games mentioned in this post are after the jump break. I was afforded the opportunity to play Hoard mode in the new Gears of War title. In this mode, teams of players build defenses against incoming hoards of enemies in order to defend themselves, not unlike Zombie mode in Call of Duty. The main differentiator here are the amount of items you can buy to assist you, including barriers, turrets, and traps. Think Zombie mode meets tower defense game with Gears of War combat. Quite an interesting combination and one that I think will keep gamers busy for some time. Link’s latest adventure is, without a doubt, the most polished Zelda game to date. The developers felt so confident in their Wii Motion Plus controls that they are an integral part of the combat. Some enemies require you to hit them from certain angles to get at their weak point, and others block some kinds of attacks, forcing you to try swinging in a different way. These new controls may jar older players like me who are used to wildly swinging at something until it dies, but I believe it’s for the better. The accuracy adds an entirely new dimension, challenging dimension to the combat. The puzzles are like any other Zelda—Hit this diamond to open that door, then it shuts and locks behind you, you must defeat an enemy, then are released with a useful item. I got to fiddle with the Beetle item, which is like a remote controlled plane, in the demo and it works splendidly and has very natural controls. The art style of this game is also brighter than the last game, which makes for interesting visuals. What can I say? It was Mario Kart on the 3DS. Take Mario Kart DS and add in hang gliders when your kart jumps, and you have the new title. Not much new here, but I suppose if it ain’t broke don’t fix it, as the uncouth say. I loved the original title, but Big Boss’ first outing on the 3DS may be one to skip. The controls take after that of Peace Walker or Portable Ops, in which the ABXY buttons control the camera and the stick controls the movement. Controls like this make me very excited for the Vita, as shooters really are better with two thumb sticks. Perhaps the controls take some getting used to, but after 10 minutes of fiddling around with them, I could take it no longer. I’ve only read a few things about this game, but the demo has convinced me to buy it upon release. The combat in the game is equal parts God of War and Star Fox 64. I know that sounds confusing, but there are combat sequences in which the combat is very fast paced and melee based, and others in which you must shoot down objects before they get to you; in both type of combat, there are also timed button events to perform special attacks. In the boss fight I played, Asura was fighting some obese god in three different forms, each getting progressively bigger and scarier. The different segments in the fight are broken up by Asura performing a Burst Attack, which is a special move that signals the end of one combat segment and beginning of another. After a few Burst Attacks, Asura had transformed from a beefy demigod to a beefy demigod with 6 arms, and the fat man had progressed from slightly taller than Asura to slightly smaller than the Sun. The drawing-type art style only adds to the appeal of this game, and it’s one I’m now incredibly excited about owning. Had I not been in public, I would have wept openly. Sonic Team finally got it right. Sonic Generations does both types of Sonic gaming I love and does them better than they’ve ever been done before. Classic Sonic’s stages are just like the original games on the Sega Genesis, but slightly faster. The pace strikes a wonderful balance between slow and fast paced. In Sonic 4, I felt as if I was constantly running through molasses and sometimes in Sonic 3, I felt as if I was going so fast, there was no way to know if my next jump would be my last. Modern Sonic’s stages are akin to those of Sonic Adventure in that they’re in 3 dimensions, incredibly fast paced, and involve homing attacks and quick moves to take out your enemies. Again, Sonic Team finally got the speed right in this game, as it goes from fast and fun to blisteringly quick and nerve wracking, keeping the player’s palms sweaty and adrenaline pumping. It’s so refreshing to see the Blue Blur back where he belongs—in a good game. Really, this game is more of the same. The pieces I played were like Arkham Asylum, only with a few additional gadgets. Combat felt identical to the previous game, as did sneaking and moving around. The only notable addition was the ability to use the grappling hook while gliding. This feature was one I did not know I wanted until they added it in and now that I have it, I cannot think of how I managed to get around before. Arkham City seems to be Arkham Asylum 1.5, which is not a bad thing at all. Adding in new gadgets and villains were all this series really needed as it was already phenomenal in its first outing. Again, this is a game that doesn’t have much new with it. It’s really nothing more than DLC addons to the original game. Nothing differentiates this title from the original except the additional characters. I bought the original two games because they were the best shooters at the time on PS3. That’s not saying much as they were also some of the only shooters. Upon reflection, the games are quite mediocre, more of a poor man’s Halo than anything else. I was able to play a map in which the Chimera attacked me and some comrades in a junkyard. I quickly ran out of ammo and without knowing how to melee attack or pick up enemy weapons, I was dead in the water. I tried on my next go around to figure out the controls, but to no avail. I ended up putting down the controller shortly after picking it up. My poor impression of this game may have to do with not knowing the controls, but I could not guess the controls because they were not intuitive, and that is a problem. I'm not really an MMO player. I prefer to play games, finish them, and move on, which is something that an MMO does not quite allow. I am, however, a fan of both Star Wars and Bioware, so when I heard Star Wars: The Old Republic would be playable at the con floor, I leapt on the opportunity to wait an hour to play it. Before you ask, of course I played Jedi, what else would I have played? I started off as a young Padawan asked to help save the Jedi training grounds from Flesh Raiders. Already sounds intriguing, no? The combat system, buffs, and abilities are incredibly similar to World of Warcraft, but what MMO isn't these days. I prefered the cinimatic style of this game to WoW, though, because it focused on the facial reactions of characters and allowed me to select answers to questions to gain either good kharma or bad. Imagine WoW mixed with Knights of the Old Republic, and you'll have Star Wars: The Old Republic. I may not be an MMO fan, but I'll definitely give this one a whirl. I almost passed this game by since I've never played a Rayman game; I know of the character and the games, I've just never played. I was happy I stopped by, because Rayman origins is probably one of the best platformers this year. Drop in/drop out co-op play, simple controls, and a clean art style make this an appealing game for both parties and solo play. Overall, this con was a complete success, but this isn't all. Stay tuned for videos and giveaways as we wrap up our coverage of Comic Con. I'll be bringing you my impressions of this game and the most sophisticated news on the net from San Diego Comic Con this weekend, so stay tuned for videos and news updates. Tally ho! We've already seen a short trailer earlier this summer at E3, but Gotham City Impostors has a new video only a month later for San Diego Comic Con. The class-based multiplayer game lets you take control of either the vigilante Bats or the mischevious Jokerz, both being hilarious rip-off versions of their DC counterparts. The gameplay style and match types are hazy at the moment, but methinks this game looks promising already. Gotham City Imposters seems like Batman Team Fortress 2 down to the cartoony art style and fresh humor. In the new trailer below, one of the Jokerz even sounds like Scout. What do I think of this? Well, I love Batman and I love Team Fortress 2, so what do you chaps think I think? Spoilers: I'm excited. This is it! Our first ever live podcast featuring both J. and the Colonel. We discuss various aspects of the gaming industry including upcoming games featured at E3 2011 including Battlefield 3, Modern Warefare 3, and Assassin's Creed Revelations. We also give our first take on the new Wii U, the possible PS4, and the recent change for Team Fortress 2 to free-to-play. Sidenote: Yes we realize the Colonel's mic isn't QUITE as clear as J. 's, but it could also be worse so no harm done, eh old boy? It was inevitable. Capcom was to announce all of the new characters for their upgraded version of MvC 3 at Comic Con, even going so far as to reveal 4 of the 12 new characters. Intrepid fans seems to have beaten them to the punch, uncovering portraits of the remaining characters including such fan favorites as Phoenix Wright, Frank West from Dead Rising, and Nemesis from Resident Evil III. What will these new characters cost? $40 USD. Yes, just as Super Street Fighter 4 felt like a price gouge to early adopters and a godsend to late bloomers, Ultimate Marvel vs. Capcom 3 costs less than the original, but still far more than anyone can justify paying for what essentially amounts to DLC. I never bought the original, so this picture accurately represents me right now. If you're still interested in the game, watch the trailer below. Capcom has been a truly surprising company as of late with some of its most popular franchises. They announced in a live stream that no plans were made to localize Ace Attorney Investigations 2, they cancelled Mega Man Universe, an ambitious online Mega Man title, and now they've cancelled the long awaited third installment in the Mega Man Legends saga. Earlier, Capcom announced that a prototype would be coming out for the 3DS and they called upon ideas from fans to help push the series to its release. It seems we've come up short this time. This news saddens me so greatly because I love the Legends series; it was a clever, new direction for the Mega Man games. Legends had much in common with Sonic Adventure in that both opened up the worlds of their respective main characters. Mega Man took off his helmet and was able to roam cities, dig in dungeons, and meet a colorful cast of characters, adding an entirely new dimension to the traditionally flat side-scrolling platformer. I am going to be sad to see the spikey haired Blue Bomber go back in storage for some time. I suppose the next time a game is teased from Capcom, fans should start posting about it daily and sending them letters professing their love, else the game might be ripped from release. These days, Capcom seems like an insecure significant other--eager for your attention, but more eager to show you what happens when they do not receive that attention. To be a part of the discussion live, type what you'd like to say in the chat window in all caps for the podcast channel, and we will unmute you to discuss your opinion. We ask it be in all caps so that we may easily find the subject matter you want to discuss. This also allows those participating to chat with each other during the show, giving whatever opinion they like. 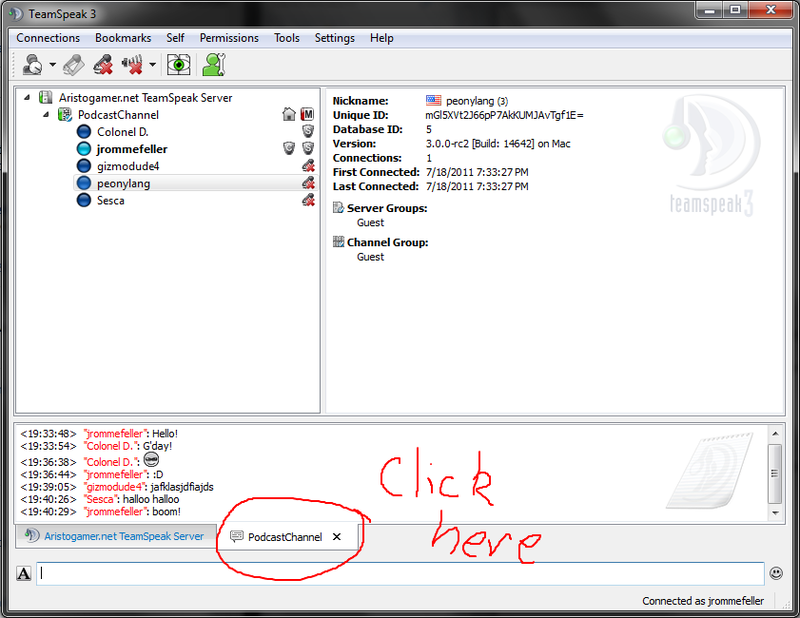 Think of it like an online radio show and you can "call in" by typing in the chat window and being unmuted. 1.) Pretty much anything those participating will want to chat about will be potentially discussed, however we ask that the subject matter be closely related to gaming and entertainment. We are a gaming site afterall. 2.) The discussions within the chat window is free-for-all, so please use your own discretion with language and subject matter. We do ask, however, that language be kept at PG should you become unmuted. The podcast will be up for distribution after the show at a number of sites. We will list them the second they are available. By jove, our first podcast is fast approaching! Here are the details so you can join in on the podcast live before it's released anywhere else. 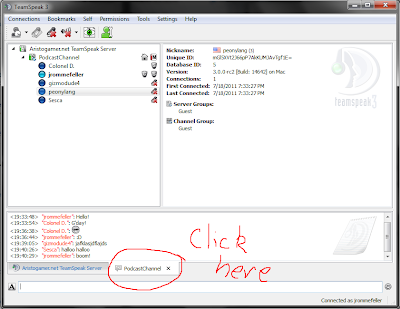 You can download the TeamSpeak 3 client here, and then just connect to the address above to listen in. If you need more detailed instructions with images, click the Read More button and read the tutorial I've put together. If you have any other questions, either comment on this post or send us an e-mail and I will get back to you personally. I hope to see you all there Monday! Another photo from the set of the Ace Attorney movie has made its way to the internet, this time through Capcom's official movie site. This image is quite obviously of the judge's bench. At first glance, it just appears to be some people setting up for a shot, but upon further inspection, I propose that the man on the right is none other than the terrifying prosecutor himself, Manfred Von Karma. The large, white shirt collar on top of a deep blue suit coat and white hair seem to be indicative of the man in question. Unfortunately, it seems Capcom cannot afford to take pictures with anything other than an outdated cell phone. High resolution, chaps! I want pictures so accurate, I can critique the accuracy of the Phoenix's eyebrows in the film. Alas, we shall have to wait for better shots, but this image gives me great hope for the movie. Good day ladies and gents, J. Wellington Rommefeller here to review not one, but two titles! When American McGee’s Alice was released almost eleven years ago, I recall liking the idea of a twisted take on a popular children’s story. Alas, this was not to be, as the game was released for PC and I had yet to acquire for myself a computer of suitable class and sophistication. Ten years later, I had all but forgotten about the game when I caught word of its sequel’s impending release. The first Alice’s large cult following was as good an endorsement as any, inspiring me to pre-order the sequel, which included the original as a bonus. Was the cult right, or should I have been more cautious about sipping their Kool-Aid? I decided to begin by playing the original Alice; it only seemed natural to begin at the beginning, as it were. I quickly became enamored with the visuals and art style of the game, but was caught somewhat off guard by having been thrown into the middle of the action with not much of an explanation as to just what I was doing in Wonderland in the first place. I’m nearly positive this decision was made by the developers to inspire confusion and a sense of mystery in the gamer, and that would have been completely acceptable had the controls not been equally as perplexing. I was presented with a few game tips, but ultimately had to figure out the vast majority of what I was doing on my own. The game’s physics also felt as if Alice was forever running on ice, and the combat felt unreal, no sound effects or haptic feedback to tell me I hit my target. I simply gave up on the game only two hours into it. I was ready to stash the sequel away and not play it either, but then it dawned on me – Alice was originally released as a PC game. I had been playing the Playstation 3 port of a game meant to be played with a keyboard and a mouse, and suffered all the failures of precision one would expect when using a console controller to play a game without a targeting system. I will say that I enjoyed looking at the game’s scenery, but doing anything but standing still and panning the camera around was an exercise in pain I wish not to repeat again. I forgave the original and decided to start up the sequel, which had been designed for consoles as well as the PC. Alice: Madness Returns began with a splendid recap of past events in such a way that I found myself curious, but not lost. Initially I was rather put off by the art style. Where was the colorful, fragmented Wonderland I had seen in the first game? Soon, though, I realized that the drab, washed-out environment had been purposely included as a story device. 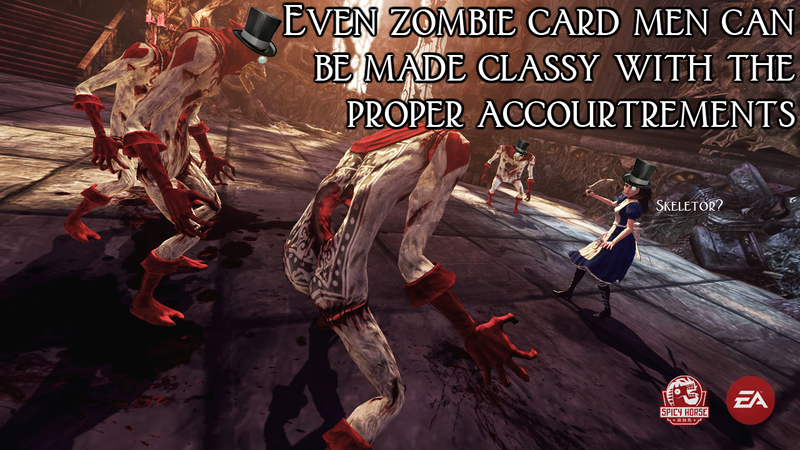 When Alice is in the real world, the colors are akin to those of many realistic, gritty modern games, but it is when Alice enters Wonderland that the game’s true art style really shines through. I immediately fell in love with the style and art of Alice. Each world the player traverses has its own theme, and each new environment is distinct and markedly different from the last. Upon entering a new world, it’s a real treat to get to know its enemies and mechanics. The gameplay in the sequel is an immense improvement upon that of Alice’s original adventure. Sound cues and quick reactions put the game solidly within the ranks of such impressive combat franchises as God of War and Devil May Cry. Alice’s trademark Vorpal Blade makes a roaring comeback with its quick, deadly action. Her knife is supplemented by the slow, devastatingly powerful Hobby Horse, the swift firing Pepper Grinder and the mortar-esque Tea Pot. The addition of a targeting system also helps players focus on each enemy instead of wildly swinging about and praying for hits as one was wont to do in the original. Overall, combat has become easier and less frustrating, making the game far more enjoyable. 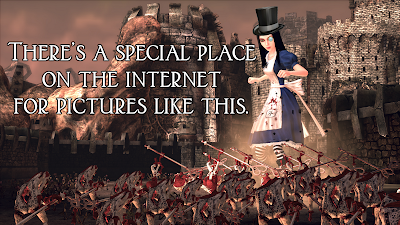 Having the freedom to look around at the brilliant scenery without the distraction of poor fight mechanics and nigh insurmountable battles allows the beauty of Alice: Madness Returns’ to become a truly immersive experience. The physics have also been improved to make jumping, running, and changing directions feel more natural and less like the Snowman’s Land world of Mario 64. If you find yourself concerned about being lost in the sequel because you did not play the original, fear not; playing only the second game in its entirety does not hinder the experience at all. Alice: Madness Returns does a spot on job of making newcomers to the series feel right at home. All that being said, the story is certainly not without its flaws. Characters are reintroduced and left behind too quickly to really get to know and enjoy them. Some felt as if they were included simply because they were present in the original tale of Alice in Wonderland, rather than for any specific plot-related purpose. The game’s story follows Alice as she tries to repair Wonderland and reclaim her memories of the horrific accident that took the lives of her family. Each chapter brings one new fact about the incident to light and Alice slowly pieces together the truth. For all of Alice’s trouble and the narrative tone set by the game, I would have expected a better conclusion than the one eventually reached. This ending felt rushed and thrown together, as if the writer could have taken a bit more time and vastly improved upon it. After ten hours of buildup, the brief climax cheapened the experience. 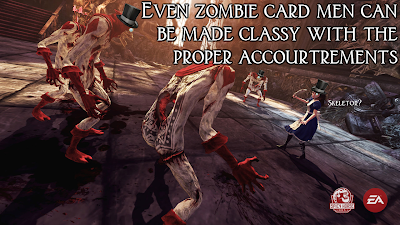 Alice: Madness Returns has better art style than a Tim Burton movie, combat similar to God of War and a good, but not great story. If you enjoy platformers or games with a distinctive visual style, this game is a must play. The improved mechanics are draped in engaging art and driven forward by a unique retelling of a familiar story. 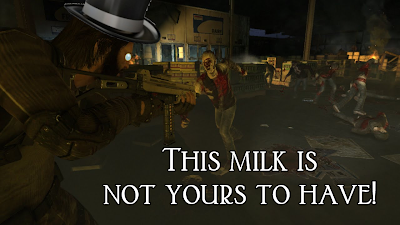 If you would not at least rent or borrow this game, I fear you may be as mad as dear Alice herself. When I first began this blog, I called upon my good chums to recommend titles to review and the name that came up most often was Radiant Historia. I had never heard of it, but word of mouth testified to its classic RPG elements, fun gameplay, and intriguing story. After an arduous search through the shelves of local game merchants, I found a store with just two copies left and sat down to play. Was the limited availability a testament to its popularity or a warning sign that not even Gamestop wanted to carry Radiant Historia. I settled into my armchair with my DS to find out. 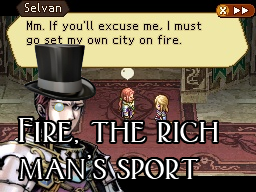 The story of Radiant Historia is an odd, but strangely familiar one. An unlikely hero has thrust upon him the job of saving the world by travelling to different points in time and correcting history. Does this sound familiar? If you’ve ever played Chrono Trigger, it certainly should. Radiant Historia can’t help but be compared to this game with its RPG mechanics and time-centric story. Surprisingly, this comparison does not serve to hurt the game, but rather help it. However, the similarities end at the broad strokes of the game. I dove into Radiant Historia expecting some playful fun, but was almost immediately faced with difficult choices and resulting weighty consequences. Whereas Chrono Trigger was a fun romp through time with a relatively light-hearted story, Radiant Historia has a somewhat darker tone with a more serious main character and a story revolving heavily around warring countries. You take control of Stocke as he traverses between two parallel timelines, each ultimately working toward the same goal of stopping the world’s ever-spreading desert. By virtue of your choices, you either progress the true history, or create an offshoot with terrible consequences. Radiant Historia sounds like Chrono Trigger and that may draw gamers to it, however, it’s a completely different game, and a good one at that. Battle mechanics are an important part of this game. No matter how good a story is if there is no merriment in playing the game, you will not finish. The enemies are arranged in a 3x3 grid-like formation, akin to that of Megaman Battle Network. Attacks from the main characters can change the enemies’ position on the field by pushing them back, thrusting them left or right, or pulling them to the front. This interesting mechanic means that you can crush enemies into a tight space and unleash a powerful attack at only one square, but strike multiple adversaries. The player can also see enemies on the screen before being attacked and is even given an opportunity to gain an advantage up on the competition by striking first on the map before entering the battle. This method is much preferred to the random battle mechanic in games of old. Both the grid system and enemy visualizations on the map result in less frustrating, more entertaining battles. The graphics harken back to 16-bit Super Nintendo games, which I believe was a careful and correct choice. Nintendo DS games have never excelled at polygon-based graphics, and can only recreate console graphics up until the Nintendo 64. Bulky polygons may have been acceptable in 1998, but seeing them now just leaves me pining for better something more. 2D games, though, seemed to stop their graphics advancements at the Super Nintendo and Gameboy Advance. There are odd exceptions to this rule, like Odin Sphere, but generally, 2D games these days are done in the 16-bit sprite style, and they look splendid. The side quests in this game are in no short supply. Immediately upon completion of one, five more become available in its stead. Generally, I found myself forgetting about them because I knew I couldn’t solve them until future events had transpired. When you least expect it, the opportunity to procure some item or deliver a letter becomes available and you feel the need to travel back in time to complete the quest. As it turns out, however, this may not always be a good idea. You can travel through time in Radiant Historia, but there are two separate markers on the timeline—nodes and events. The two markers are identical except that nodes allow you safe passage through time and events do not. This crucial difference means that if you obtain an item needed to complete a side quest you may rush back in time to complete the quest only to find that there is not a node at the part in the timeline you were just in, only events. If you’ve completed five events and have still not found a node, your hasty decision will force you to play through those five events yet again. The player is really at fault for making this error, but it’s bloody annoying nonetheless. I’m not sure if modern games have made me less tolerant of longer experiences, or if I’m just getting old. Perhaps games on a portable console make me think of shorter experiences. 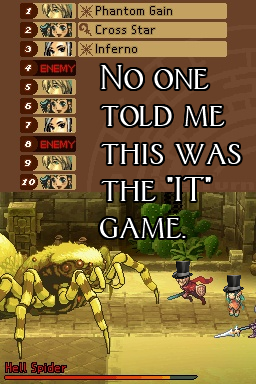 Whatever the reason, Radiant Historia is no game to undertake lightly. If you’ll recall, the “Next Review” portion of our side has had me listed for Radiant Historia for two months now. That is simply how long it has taken me to power through this game. At points, I would lose interest and not play for a few days, instead playing games with more action, but strangely it was never because the game was boring. When I next picked up the game I would always be enthralled once again, but after a long day work, I’d find myself wanting to sit down with a console game on a large screen rather than a handheld on a small one. Radiant Historia is not a game you can pick up and put down in fifteen minutes, it takes a serious time commitment, and that was something of a misstep on the developers’ part. If this game had been released for PSN or Xbox Live Arcade, I would have finished it sooner, but with a bigger user base for the DS, I suppose I can understand why they made this choice. It’s always good to trust your friends; they generally steer you in the direction of your best interest, and mine did not fail this time. 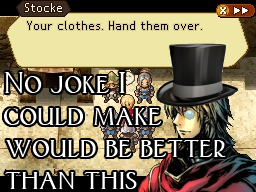 Radiant Historia is a game with a wonderful story, enjoyable gameplay, and pleasing graphics. It may be a significant undertaking and one perhaps better suited for a home console, but it’s very worthwhile title and is one of the best RPG games available for the Nintendo DS. who won status of alpha male? How many smart phones are in the lion community? who do you think painted the Sistine Chapel J? 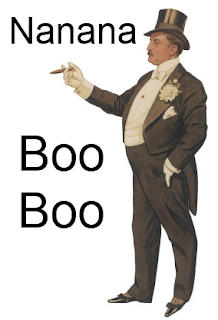 I stand corrected, ol boy! FIFA 12 and SSX will not be featured today. NBA Jam: On Fire Edition is an improved version of the rebooted classic. Not many details here other than its improvements are based on community feedback. NCAA 12 adds some features to last year's installment including custom conferences, playbooks, and an improved collision system to make the game more responsive. Madden 12 is being released soon and is said to have more authenticity, whatever that means. Did previous versions have fake rules? I'm not sure. NHL12 features a better physics engine and improved AIs. The players personalities have a bigger emphasis in this game as well. The Sims Medieval: Pirates and Nobles is an add-on to The Sims Medieval. The pack features new quests, treasures and features like pet birds that can go on their own quests and interrogation chairs. It looks like an interesting add-on to an already intriguing game, due to be released August 30th. EA's Steam competitor Origin has a new mobile app that lists your games, friends, and updates for your friends. It's a cross platform application that seems to play nicely between Android, iOS and PC. Shift 2 Unleashed for the iPad was shown to have crisp graphics, but nothing notable otherwise, just a standard, accellerometer controlled racing game. By getting this game through Origin, players get bonus tracks, money, and the ability to brag to their friends about their races. iPhone 4 can connect to the iPad via Bluetooth to play Fifa 12. It's quite an innovative idea, even if the graphics look no better than the original PSP. Risk Factions is a port of the classic board game to Facebook. Special weapons have been added to the game from its XBLA release to differentiate the groups from one another. EA is also boasting how great their PVP is, so I guess we'll have to see. They mentioned a mermaid on Segways and that got me interested. The game will be released soon. EA's Scrabble is being released for iOS and Facebook and offers a level of connectivity that they say is unprecedented. I think they are ignorant of Words with Friends. Scrabble also offers a dictionary and a Teacher mode that suggests words. My personal favorite mode of Burnout, crash mode, is getting its own game in Burnout Crash. The crash-em-up title is a cartoony, download only game and will be available this Fall for XBLA and PSN. 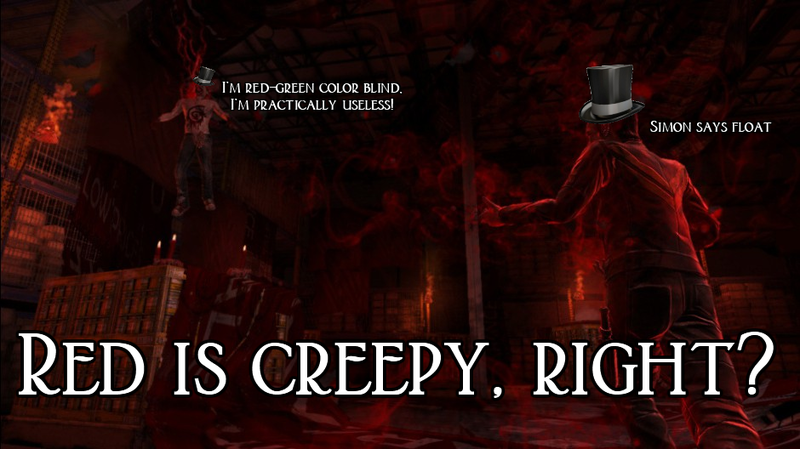 Secret World is an MMO based on myths and superstitions. Tons of powers and three factions offer a diverse game. The trailers all certanily look interesting and the ideas behind it are sound, but I'll have to experience the actual game before I pass judgement. Looks interesting though! Dragon Age II Legacy is DLC for Dragon Age II. It features new storylines and weapon bonuses that function with the original game. The DLC is being released for all platforms on July 26th. NamcoBandai just released a trailer for the fifth game in the Soul Calibur series. Soul Calibur V is due to release at an unspecified time in 2012 and is said to introduce a new main protagonist. He's named Patroklos and is son of Sophitia, everyone's favorite sword-and-shield wielding, golden haired Athenian. Patroklos was also the name of a Greek mythology character in the Trojan war. I wonder if that will tie into the game character's story at all. Sooner than expected, anyway. According to DigiTimes, "Foxconn and Pegatron Technology, assemblers of PS3, will undertake assembly of PS4 as well, the sources pointed out. The planned shipment volume of PS4 in 2012 is at least 20 million units, the sources indicated." I'm placing next to no stock in this news report. DigiTimes has a history of reporting baseless rumors that often turn out to be false. Also, Sony has said time and time again that the lifespan of the PS3 is ten years. The only real fact that lends weight to this rumor is that the Playstation 2 has had a lifespan equivalent to that expected of the Playstation 3, and yet the two were released six years apart. That fact puts the PS4's release solidly in 2012, but I will wait until a rumor with more substance is released before I start fawning over the future console. I can see Sony teasing the PS4 in 2012 at E3 or Tokyo Game Show, but I would not expect actual units until 2013. That statement should also be taken quite lightly, however, as I have more insider information about mustache wax than game console manufacturing. 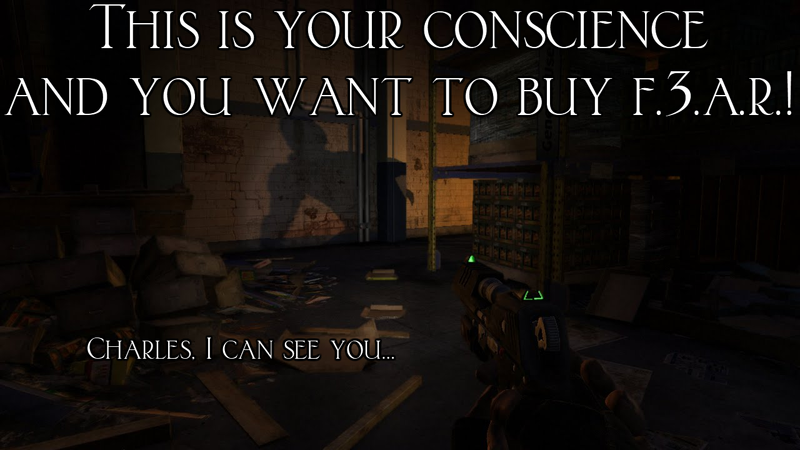 The concept of morality in video games has become increasingly popular in the most recent generation of consoles. For better or worse, 2009’s Infamous was one of the most polarizing titles in this genre, garnering as much criticism as praise. In the sequel, Sucker Punch hopes to squash the negative feedback with a few changes to the game, whilst still appealing to the fans who enjoyed the original. 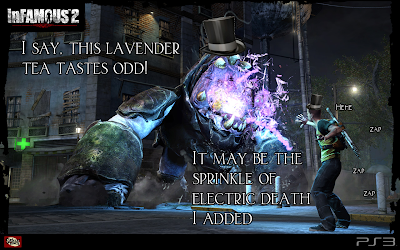 Did they succeed, or is Infamous 2 as negatively charged as its protagonist? The game begins with the threat foretold in the previous installment; the Beast has finally appeared and is attacking Empire City. Cole attempts to fight the Beast, but is thwarted and flees to New Marais in pursuit of improved powers. The concept of the hero coming up short in the opening scenes of a game is a unique and appealing one to me. Being sent to lick my wounds and prepare for a “round 2” bout is refreshing and shows that Cole isn’t the indestructible mass of power that everyone, including himself, has made him out to be. Starting off the game with a bang drew me into it quickly and had me caring about the characters faster than I had anticipated. Cole’s abilities have improved since his first outing. He’s obtained a new weapon, the Arc, which is in essence a giant, electrified tuning fork. It’s quite fun to beat baddies with the new electric rod weapon, and this experience is magnified by the addition of finishing moves to end Cole’s foes stylishly. My main qualm with the power options in the first game was that most of the power-ups I received seemed damn near useless. For the most part I kept Cole’s power configuration unchanged from the stock as the rest of his powers were simply unappealing to me. This time around, however the choices of power-ups seem to be more thoughtfully composed, including a few that allow easier traversing of the map or quicker completion of side quests. With this benefit, side quests become even more inviting as they can be wrapped up more quickly as your experience grows. 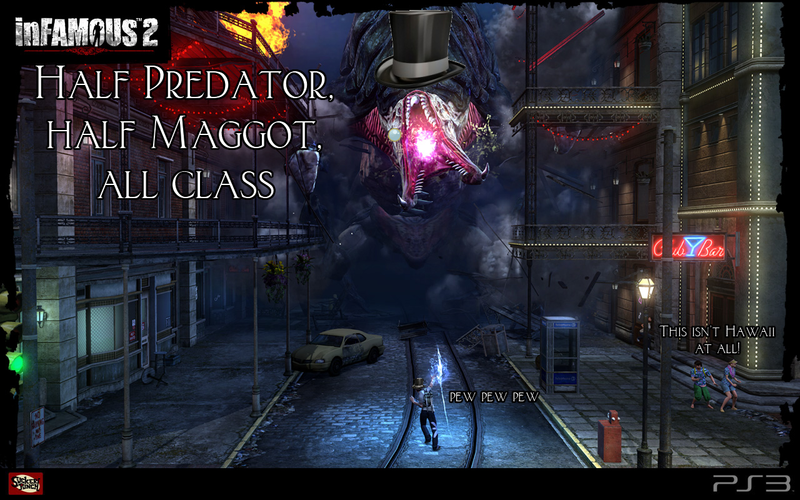 On the topic of of side quests, Infamous 2 has an abundance of them, and they are far different than those of the first game. 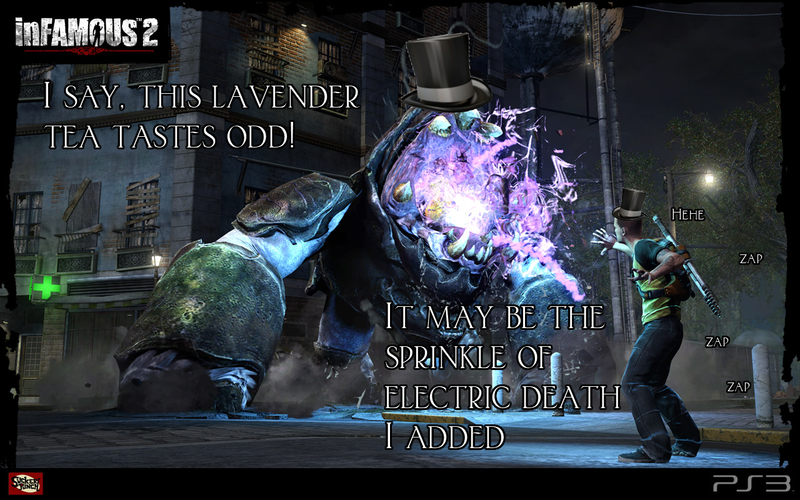 Another problem plaguing the original Infamous was its repetitive side quests, and that has been somewhat remedied in the sequel. There are only really four or five different side quest types, but they are presented in different ways, making the fetch quest seem brand new, or an assassination mission feel unfamiliar. Also contained in these side quest are small storylines that flesh out the characters. This important addition puts weight on option missions by making you feel as if you’re missing out on parts of the story if you choose to rush through only the main storyline. The developers have added a User Generated Content option as well that allows players to play through missions made other players. The only UGC levels upon release were developed by Sucker Punch, but the creation of new levels by gamers will soon be open and presumably release a flurry of new levels and mission paradigms. I’m positively chuffed about this idea, though I’ll have to see it in action before I can pass judgment. No, not that kind, I'm talking about glitches. They’re not substantial in size and I’ve yet to see the game freeze, but they exist and they’re bloody annoying. Countless times I’ve been scaling a building only to suddenly be shifted to the other side with no prompt. Other times I’ll pummeled an enemy so hard, he becomes trapped between objects. Most fights go unhampered by glitches, but when they happen, you’re quick to notice and sigh in frustration. In addition to the bugs, the wall climbing just feels hindered, though I cannot say for certain whether this is a flaw in Infamous or rather a disappointment caused by the impossibly high standards set by the Assassin’s Creed franchise. The story following the game’s opening sequences also needed work. This was a problem also noted in the first game; the beginning and ending of both are intriguing, but while the middle lags with too little information and at too slow a pace. At least the second game has the stories of two new side characters to provide some sort of distraction, but for the most part, Cole is simply collecting powers and hunting down someone who is not The Beast for the entirety of the game. Instead of preparing for the fight with the Beast, Cole’s story focuses primarily on chasing down a dubious preacher named Bertrand. 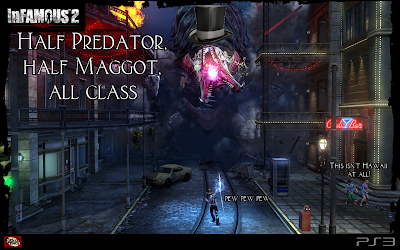 While this storyline is mildly compelling, most of Bertrand’s secrets are revealed in short order and for the remainder of the game you find yourself wishing the Beast would be hastier about his arrival. If there is a third game, Sucker Punch will have to up the ante on the story because I feel I’ve been burned twice over. The story isn’t the only thing that screams of simplicity. 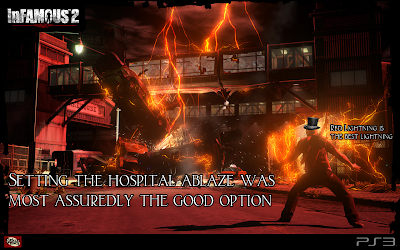 As with the original, Infamous has very straightforward choices about what is right and what is wrong. The decisions to be made are as obvious as day: free a gang of cops to help you raid a base, or light the building on fire and burn the hostages in cages alive. I kid you not, that is an actual choice. I momentarily hesitated to put this in the “bad” section of this review, however, because I personally rather like the clarity. In other games with a morality system such as Knights of the Old Republic, sometimes the choices you made were in a somewhat grey area and the consequences not immediately known. I enjoyed knowing what the good and bad choices were so I could better make Cole into the hero or villain I wanted. Other players may scoff at this feature, but knowing I was going to be a hero felt reassuring. Infamous 2 is better than the original, and is generally a fun game to play. As long as you’re not expecting a revolutionary overhaul of the series, you’ll enjoy approximately twenty hours of good, honest fun. I must admit there are things in this game that needed improving, but the fast-paced gameplay, interesting power-ups, and the looming promise of user generated missions make Infamous 2 a good buy. The latest video has been posted, and this time the Colonel is joining me to tackle one of the most anticipated games of the past decade and a half--Duke Nukem Forever. Was fourteen years enough to come out with this game, or did Duke miss the proverbial gaming boat back in the late '90s?